National property consultancy Carter Jonas – the principal manager of rural estates in Yorkshire – has further expanded its rural land and business team. Sam Johnson, who will operate principally from the Harrogate office, has joined as an associate and will specialise in the sale of land, farms and estates across the North of England working with colleagues from the York, Harrogate, Boroughbridge and Kendal offices. The 30 year-old joins the firm from property agent George F. White and brings with him considerable experience in general rural practice surveying, especially in the sale and acquisition of rural property and valuations together with compensation and compulsory purchase work. Carter Jonas is the principal estate management practice in Yorkshire, following its merger with independent firm of chartered surveyors, land and estate agents Peter Greenwood & Co LLP last summer. The firm now manages 85,000 acres in Yorkshire and Scotland, and in excess of 1,000,000 acres nationally. “Last year’s successful merger with Peter Greenwood & Co strengthened our established business in the North and enabled us to offer clients a broader range of services, including consultancy on planning matters, strategic land and renewable energy. “The firm operates a successful land and farm agency team headed by Richard Liddiard in London. Sam’s appointment as principal contact in the North further strengthens our rural team and boosts the services we offer. Carter Jonas has a network of 24 offices across the country, with four in Yorkshire at York, Harrogate, Leeds and Boroughbridge. 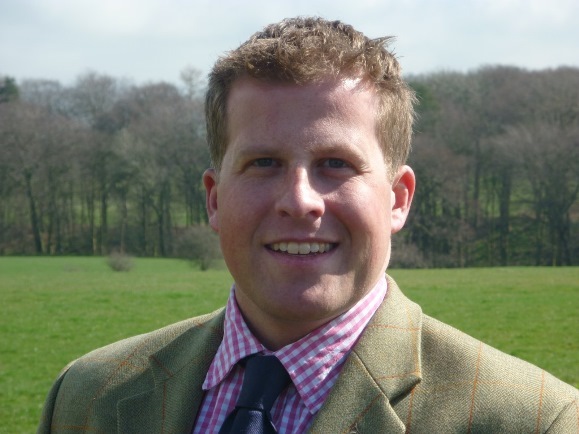 Sam, who is originally from Northumberland, is a member of the Royal Institute of Chartered Surveyors (MRICS) and a Fellow of Central Association of Agricultural Valuers (FAAV). He graduated from Harper Adams University College with a Rural Enterprise and Land Management degree, and outside of work enjoys field sports, rugby and skiing.